Usually I dismiss the idea of particular foods to get rid of belly fat. We need to eat less, not more, I thought. 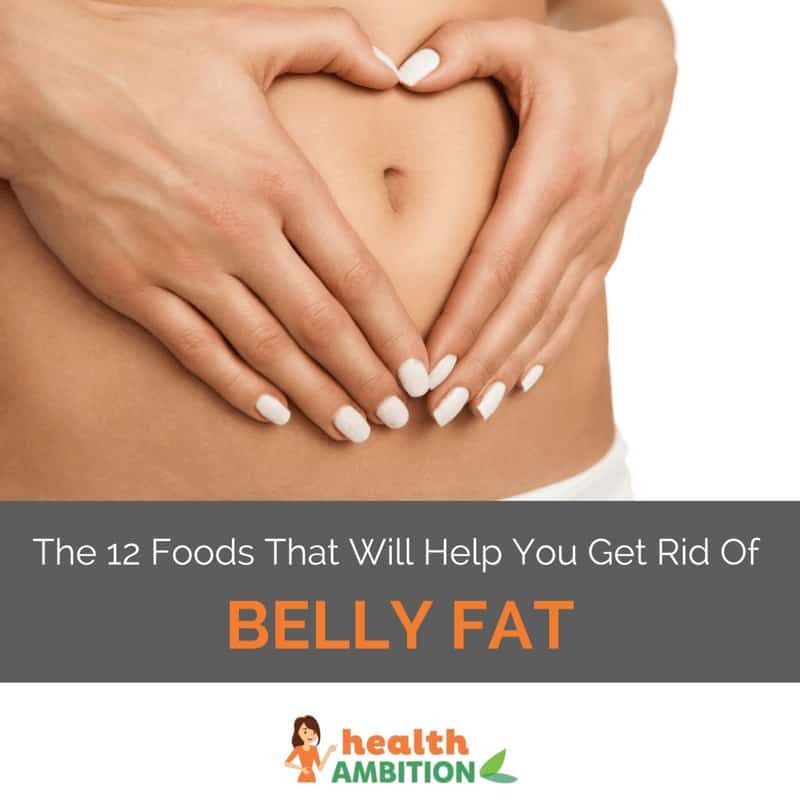 However, there is some interesting evidence out there for foods that will help you get rid of belly fat, so I decided to take a closer look. Why Get Rid of Belly Fat? I’m all for body positivity. Do I need a flat stomach to be happy and fulfilled? No way. And you shouldn’t either. However, part of loving yourself is taking care of your health. There are some scary health consequences associated with storing fat around our middles. Fat under your skin (called subcutaneous fat) is not the worst kind of fat. It’s when a thick layer forms around your vital organs such as your heart, liver and kidneys (visceral fat), that you run into trouble. This link is independent of age and overall weight. Yes this means that even if you are a healthy weight, if you have belly fat, your health is at risk. I was pretty shocked to hear that even after my immense efforts in losing weight, I could still be at risk of illness due to my waist measurement. Of course the risk is much lower than when I was obese but it’s not nice to hear. Luckily there is an easy way to find out if your tummy fat is enough to be a health issue. Locate the top of your hip bone and the bottom of your ribs. Place the tape measure midway between the top of your hip bone and the bottom of your ribs and wrap it around your waist. In general, it’s not possible to target weight loss to one particular area, i.e. your belly. You must lose weight from your whole body to achieve a smaller waist measurement. However, if your weight is otherwise healthy, then the foods below may help you on your way to a smaller waist measurement as they have been proven to reduce abdominal fat. 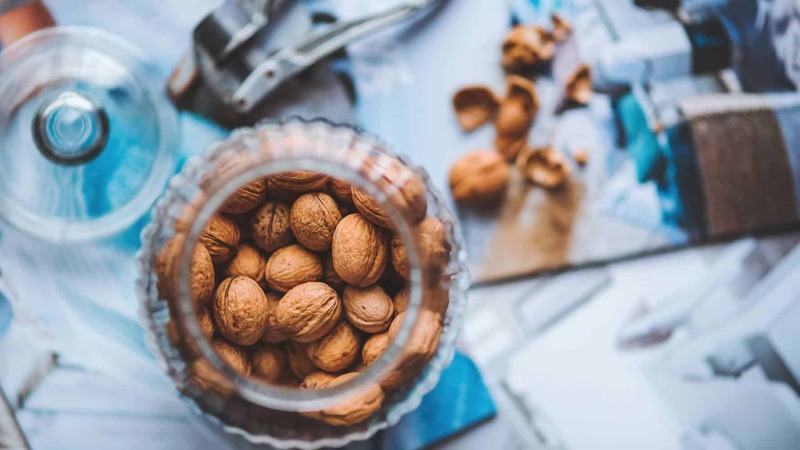 If you’re overweight or carrying some extra pounds, you should definitely include these foods in your diet but you will need to use portion control and exercise to make make a significant impact. Calculate the number of calories your body uses in a day using this calculator. Then, download an app such as My Fitness Pal and use it to log the calories in the food you eat. A deficit of 500 calories per day results in a loss of 1 pound per week. Exercise is important too. There are lots of apps that can track calories burned from exercise. Personally I like swimming because it’s easy on my joints and relaxing too. When it comes to whole grains, most of us turn to breads or cereals. However, these are often processed and don’t give as much nutritional bang for your buck as you might like. Popcorn, on the other hand, is a 100% unprocessed whole grain. Popcorn is also very high in fiber at 1.2 grams per cup. Fiber is known to help with weight loss as it fills up your stomach making you feel fuller for longer. 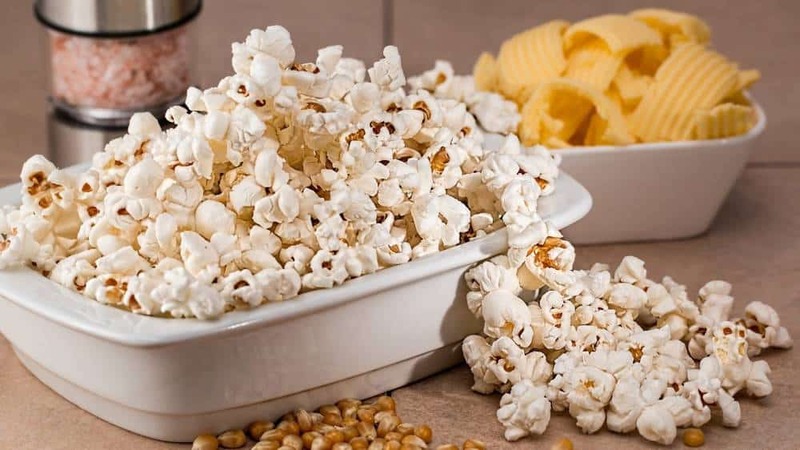 If you’re adding popcorn to your diet, make sure to stay away from those with butter, salty or sugary seasonings as they are extremely unhealthy. Air-popped popcorn is your best option. There is some interesting research around coconut oil and fat storage. Coconut oil is not stored as fat in your body as readily as other oils due to its large proportion of medium chain fatty acids. Medium chain fatty acids are converted to energy quickly rather than being stored as fat in your body. I’m all for the benefits of olive oil and the Mediterranean diet so I usually cook with olive oil. However, it may be worth swapping for coconut oil occasionally. Moderate red wine consumption has been associated with good health as part of the Mediterranean diet for many years now. This is mostly attributed to its polyphenol content. Polyphenols are naturally-occurring antioxidants associated with a variety of positive health effects. 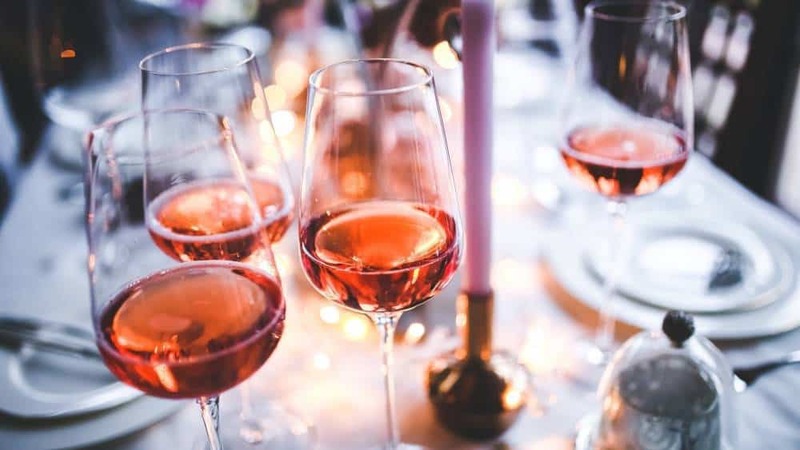 Moderate red wine drinkers also had a better lipid profile and lower risk for diabetes and hypertension. Another study found that people who consumed the highest levels of full fat dairy products had the lowest incidence of obesity. Researchers suggested that “increasing consumption of dairy foods may have the potential to lower the prevalence of global and abdominal obesity”. Further research supports this theory. In addition, the high calcium content in greek yogurt and dairy in general may also be linked to lower levels of belly fat. One study found that calcium intake although not related to a decrease in body fat overall, for every 100 mg/day of calcium consumed, intra-abdominal fat gain compared with the control group was reduced by 2.7 cm squared. Another study found that dietary calcium consumption rather than calcium supplements played a role in “preventing abdominal obesity in Chinese women”. Shirataki noodles were in fashion amongst dieters a few years ago but there is actually some solid science behind their ability to banish belly fat. Shirataki noodles are made from the konjac yam. Not only are they extremely low in calories, they are high in “glucomannan”, a water-soluble dietary fiber. A study gave a glucomannan supplement to a group of postmenopausal women with abdominal obesity for a 4-week period. Waist circumference was reduced significantly by this intervention. Green tea is another great addition to a diet for weight loss. It can boost energy and suppress your appetite. One study found that green tea along with vitamin E and exercise decreased waist circumference despite making no change in dietary intake. Another study found that men who drink at least 2 cups of tea per day had lower BMI and waist circumference than men who never drank drink tea. My favourite type of green tea is matcha. It’s got a unique taste and is a healthy coffee replacement for your morning caffeine boost. 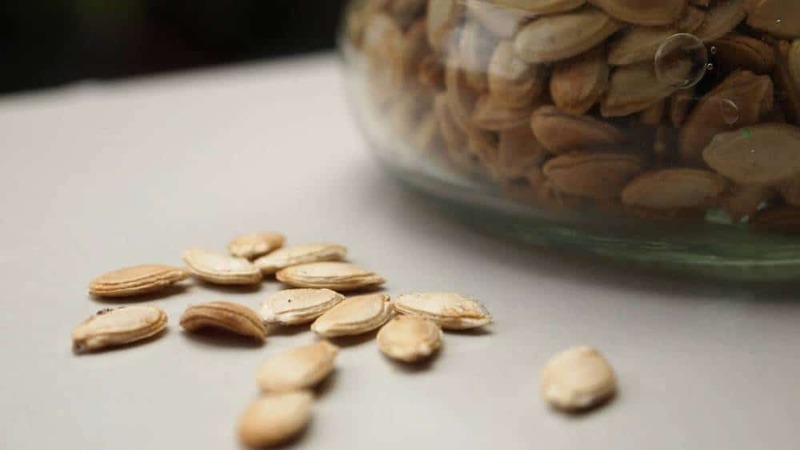 Pumpkin seeds are a tasty snack that may just help you shed belly fat. They contain high levels of a nutrient called L-arginine. Consuming L-arginine for six weeks resulted in a significant reduction in waist circumference, one study has shown. Other foods high in L-arginine include turkey, soybeans, peanuts, spirulina and chickpeas. Salmon is a nutritious source of protein and we should all be eating more of it. Eating salmon may also help you get rid of belly fat. 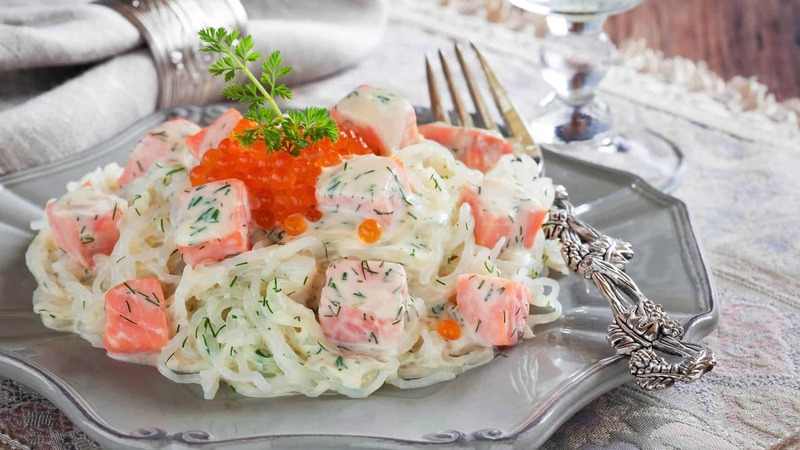 Salmon has a high vitamin D content. One study found that those with the highest vitamin D intake had lower BMI and waist circumference than the rest of the participants. Blueberries are delicious – and now you have an excuse to eat more of them! 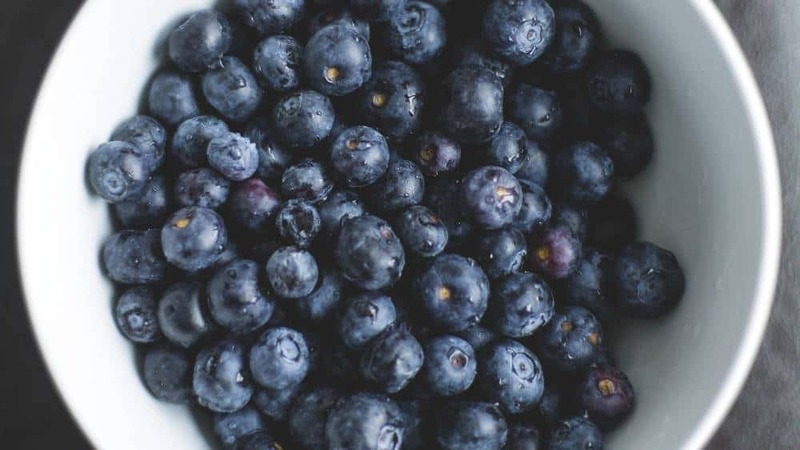 A diet high in blueberries led to lower levels of abdominal fat in one study. Another study found that blueberry juice prevented weight gain in mice. Results haven’t been replicated in humans but eating a few extra blueberries is worth a shot. Chicken breast is the savior or bane of many dieters’ lives. It’s low in fat and high in protein but many hate it due to its dry texture and flavourless nature. Protein is one of the most important macronutrients for weight control. A study over years found that protein intake was linked to waist circumference. Higher protein meant less of an increase in this measurement. Chicken breast contains branched chain amino acids – an important source of energy for your muscles. A study found that the higher your intake of branched chain amino acids, the lower your waist circumference may be. Oatmeal is my favourite breakfast. I especially enjoy the nutty flavour of steel-cut oats. They’re high in fibre and have a low glycemic index. Carbohydrates with a low glycemic index (GI) break down more slowly and keep your blood sugar levels stable. This means a constant supply of energy and fewer cravings and hunger pangs. A study found that consumption of low GI foods for 30 days lead to a decrease in waist circumference despite no change in BMI. This suggests that low GI foods may control abdominal obesity. Even though I have reached a point in my life where I don’t need a flat stomach in order to feel confident and attractive – I do want to be as healthy as possible and be around for my kids as they become adults. I’ve found focusing on your health goals rather than the number on the scales was a great motivator during my weight loss journey. I hope that this list of foods that will help you get rid of belly fat will be a useful step in yours.